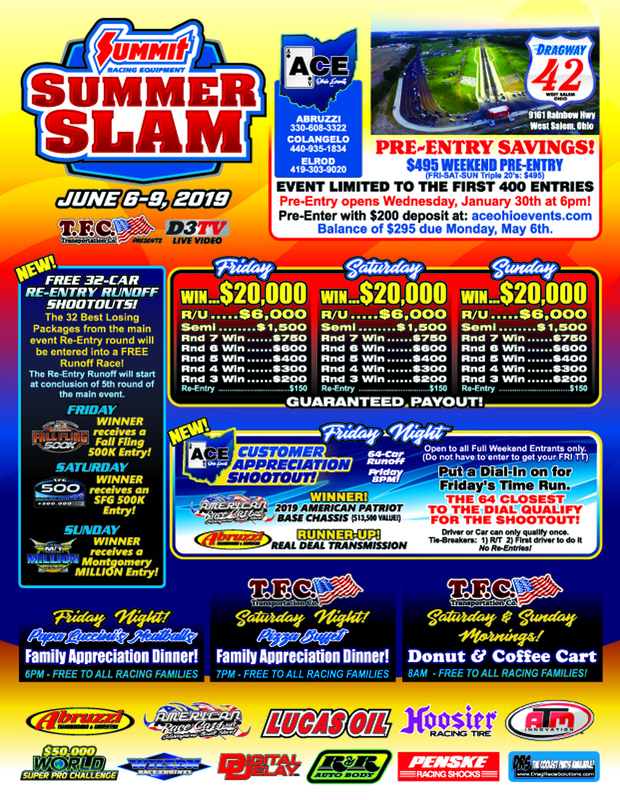 West Salem, OH - The June 6-9 date is set, at Dragway 42. Capped at 400 entries, $495 pre entry discount. Just $200 deposit due now, $295 balance due by May 6th. West Salem, OH - Live Coverage from the FTI Buckeye Bracket Nationals goes live Wednesday morning 11:30 am E.S.T. 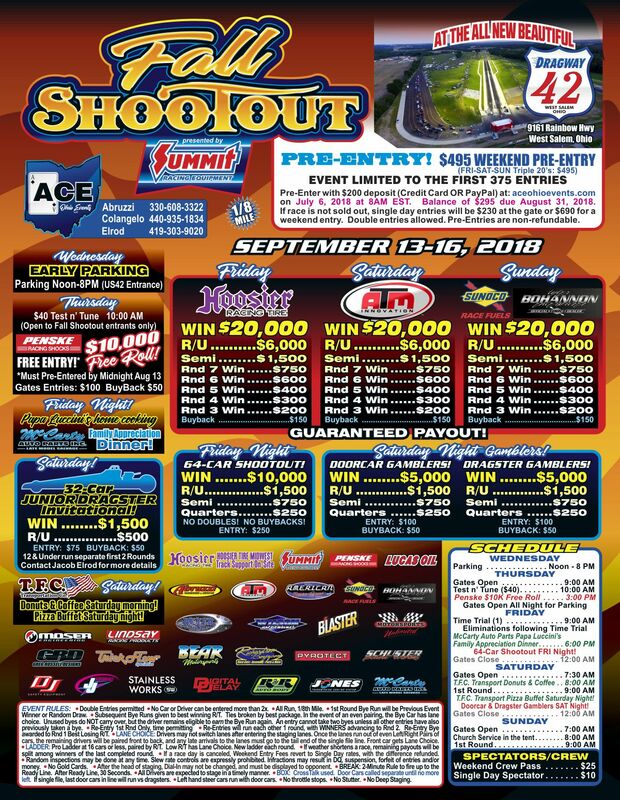 and continues thru the weekend at Dragway 42 in West Salem, Ohio. Click here for Live Video and Chat! 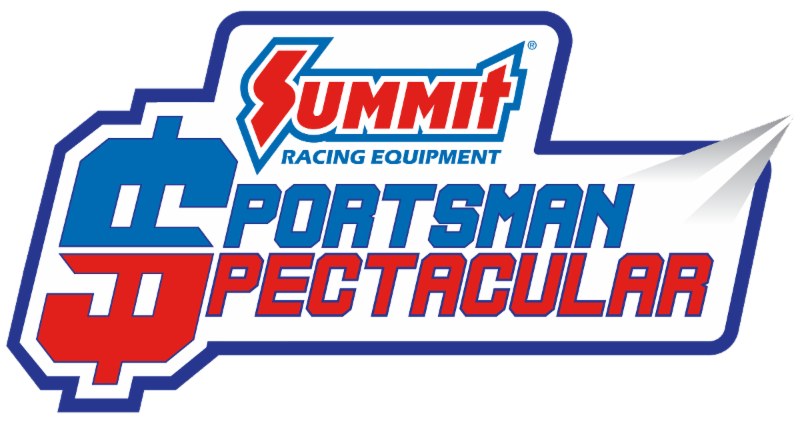 West Salem, OH - Despite numerous attempts to race, persistent rain caused the International Hot Rod Association (IHRA) Summit Sportsman Spectacular event at Dragway 42 to be called after just a few rounds of racing. Norwalk, OH - Dragway 42, in West Salem, Ohio, is entering the concrete and paving phase of their massive reconstruction of the entire racing facility. The relentless Ohio rain patterns have greatly stalled progress of laying track and pit road surfaces.